When traveling the coastal highway from Málaga all the way through to Estepona and beyond, there are many great stopping off points, all with those endless golden sandy beaches, but also with several great attractions for the holidaymaker. One great spot is the charming former fishing village of La Cala de Mijas. Situated just past Fuengirola, along the Mijas Costa on its way to Marbella, the town offers much for the tourist. In the surrounding areas, it is possible to stay in some of the best La Cala de Mijas villas and apartments, and then to head out for an exploratory drive along the coastline. Leaving la Cala de Mijas, you can choose whether to head in one direction to Fuengirola and spend some time at the local Bioparc Fuengirola, with its fascinating animals in their natural enclosures, or head a little further inland and have fun at that water park of excellence, the Mijas Aquapark. While heading in that direction, and a little further down the coast, visit Benalmádena Costa, and enjoy all the restaurants and bars in the marina (pictured above), or visit the SeaLife aquarium and Selwo Marina for that more fishy experience. Head up to the Tivoli World Amusement Park for some fun rides, or, in the same area, climb into a cable car and ride up Calamorro mountain to the Eagle Sanctuary. 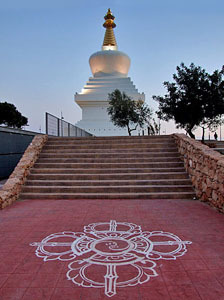 For something a little more unusual, drive up to Benalmádena Pueblo, the original older town, to see the Benalmádena Stupa (pictured right) This is the largest Buddhist stupa of its kind in the western world at a height of 33 meters, looming over a great scenic view right across Fuengirola and all the way to suburb of El Faro. This fascinating structure was the last project of the Buddhist master, Lopon Tsechu Rinpoche, and was completed in October 2003. In the other direction, visit Marbella with its wonderful shopping and the Golden Mile of excellent beaches. While you are there, live it up like a celebrity in Puerto Banús, enjoying a cocktail while overlooking luxury yachts, fancy cars and all the trimmings of wealth. The restaurants, nightclubs and bars give endless entertainment and the very best in both international and local cuisine. If it all feels a little too flashy and rich, head into the centre of Marbella and enjoy the old town and the excellent range of restaurants and bars on the beachfront, with a rather more affordable price tag. Next stop is down in Estepona, well on the way to Gibraltar. Estepona is a quieter and more traditional seaside town with plenty to offer the visitor in itself, with an excellent beach and a fishing port and yacht marina, offering several restaurants. Approximately a 20 minutes' drive outside the town, Selwo Aventura Safari Park allows you to experience all the wonders of an African safari in Spain. Offering around 2,000 animals, living in semi-wild conditions, the park is a great experience for adults and children alike. Not only does the park offer the opportunity to view the animals, however. 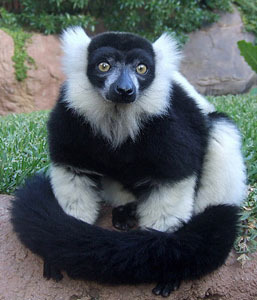 They are also involved in conservation and education about the various creatures housed in the park. So when you are planning your trip to southern Spain, bear in mind the Costa del Sol, where all these attractions and many more are available for your pleasure.